We offer fine art newborn portraits in the comfort of your home. We offer our Signature Portrait Session for clients who love all of the studio-style newborn poses for birth announcements and wall art, but additionally desire to capture a variety of lifestyle baby and family portraits that incorporate the nursery and meaningful settings within the home. We will bring along portable lighting equipment, blankets and accessories to set up a studio in your home for the “classic” posed newborn portraits. Art takes time! But rest assured, it’s worth the wait. For every minute we spend together with you, we spend hundreds more behind the scenes to make your portraits and overall experience exceptional. Following your Newborn Portrait Session, we carefully compare the hundreds of images from your session to select the best ones from each concept — based on facial expressions, posing, lighting, sharpness, background, and overall appeal. These final images are each individually processed and enhanced into a true work of art. You will receive your private online gallery of beautifully edited newborn and family portraits within 3-4 weeks of your session to make your order selections. You’re of course welcome to share your gallery with family and friends. We believe in tangible artwork for your home, as well as digital files for archiving. We offer a curated collection of the highest quality products, from keepsake albums to various custom wall art displays to complement any home decor. Adding a family member is a momentous occasion. Welcoming your newborn into the world will be one of the most miraculous events in your life. The heirloom quality of our products ensures that your newborn portraits will be enjoyed for generations! Included in your investment is our time and talent during the session, as well as archival high-resolution digital images. When you’re ready to book your newborn portrait session, please contact us. We look forward to capturing these incredibly special memories for your family! take up the most room in your heart. Those first few weeks of your baby’s life pass by in a blur, and you will never have those precious moments again. A newborn portrait session is the perfect way to capture the sweet innocence, delicate features, and angelic expressions that fill your heart with joy. A newborn marks a fresh chapter in the life of a family. 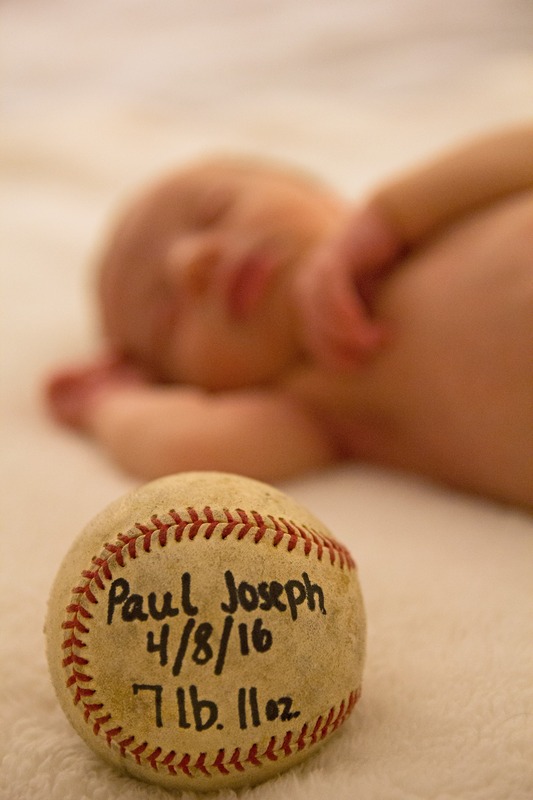 Preserving this special time with artistic newborn photography is truly an act of love. Our custom portrait sessions are a unique and luxurious experience to preserve your family’s most precious moments. We strive to create a relaxed and memorable newborn photography session, while capturing a variety of natural newborn portraits to truly capture the beauty of this special time. With an eye for perfect moments and unique perspectives, we create newborn portraits that are beautiful, intimate, and emotional. We help with styling and posing, and apply our expertise in artful lighting and retouching to bring out the best in your newborn portraits. We love getting to know each of our clients, and creating one-of-a-kind art that you will treasure forever. It’s never too early to book! Newborn portraits are ideally captured within the first 4-14 days of life, when your baby will be sleeping deeply and curling up naturally for those precious newborn poses. The exact timing depends on a number of factors that we will take into consideration once your baby has been born. We understand that these first few weeks are unpredictable, and although we can no longer capture some of the flexible poses from those early days, we still welcome babies at a few weeks old for in-home lifestyle newborn sessions. We only book a limited number of newborn sessions per month to ensure availability around your due date. We offer sessions on weekday mornings, when babies are at their sleepiest. Husbands are welcome to join us on their lunch break if they are already back to work. If you require a weekend date for a Signature Portrait Session, please let us know at the time of booking. • A USB/DVD of all digital images for your person use.